PT Waskita Beton Precast - Waskita Precast is a precast concrete company in Indonesia with rapid business expansion. Waskita Precast operates primarily as a producers of high quality precast concrete products which include preacast building and bridge, preacast retaining wall, preacast drainase, preacast readymix and other preacast products. Waskita Precast is a strategic subsidiary company of PT Waskita Karya (Persero) Tbk (Waskita Group), one of the largest state-owned construction companies in Indonesia which is majority owned by the Government of Indonesia. At present, Waskita Precast is 99.99% owned by Waskita Group and 0.01% by Waskita Cooperative. Headquartered in Jakarta, Waskita Precast now has 6 plants, 10 batching plants, and 1 stone crusher spread across Indonesia. Its head office is registered at Graha Dirgantara Building, Jl Protokol Halim Perdanakusuma, East Jakarta 13610. PT Waskita Beton Precast reached significant performance in 2015. According to PT Waskita Karya (Persero) Tbk Annual Report 2015 as quoted by JobsCDC.com, PT Waskita Beton Precast reported total asset of Rp 4,332.40 billion in 2015. 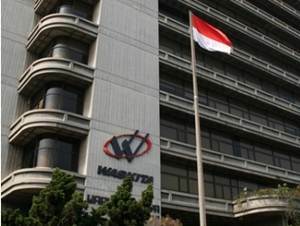 Waskita Precast's total net income in 2015 amounted to Rp 334,36 billion. Fresh graduate Bachelor degree (S1) from reputable University with minimum GPA of 3.00, majoring in Civil Engineering, Mechanical Engineering, Electrical Engineering, Industrial Engineering, Management Administration, Accounting and Law. Proven leadership and organizational/social activities. JobsCDC.com now available on android device. Download now on Google Play here. Please be aware of recruitment fraud. The entire stage of this selection process is free of charge. PT Waskita Beton Precast - Management Trainee Program Waskita Group October 2016 will never ask for fees or upfront payments for any purposes during the recruitment process such as transportation and accommodation.